The straight biopsy forceps can be inserted both through the green guiding tube (working diameter 3.8 mm) and the nucleoscope shaft (working diameter 4.0 mm); the flexible forceps can only be inserted through the nucleoscope shaft however, due to their curve. Nucleoscope, nucleoscope shaft and obturator are available as options. 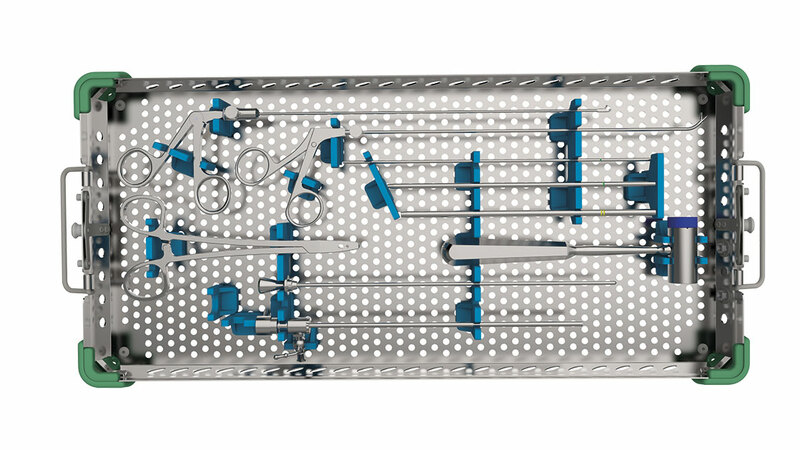 Brackets for them are already included in the intENTS® Lumbar instrument tray. One feature of the Vaporflex® radio-frequency probe is the moving probe tip, which enables almost all areas of the nucleus to be reached. 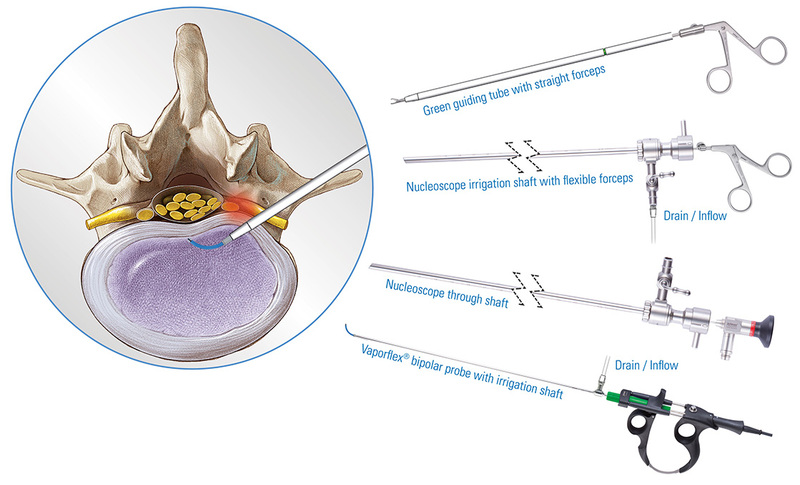 The probe can also be inserted through the nucleoscope shaft and the green guiding tube into the nucleus. For disc access with Seldinger technique, there are single sterile packed needle and guide wire sets available. The probe is also single sterile packed. All other instruments and also the nucleoscope are reusable.